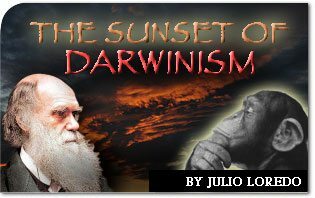 Praised until recently as dogma, Darwin’s theory of evolution is now fading away, discredited by the same science that bore its poisoned fruit. Instead, the Christian vision of a supernatural design is being increasingly affirmed. “Evolution is now a datum proven beyond any reasonable doubt and no longer a theory, it’s not even worth taking the trouble to discuss it.” This is what a spokesman proclaimed at the Festival of Science held in Genoa in November 2005, thereby neglecting a very important aspect of modern science—the need to be open to new perspectives. Instead, the truth is quite the opposite. Paradoxically, evolutionists are taking an ever greater distance from empirical science and are wrapping themselves up in a dogmatism that borders on ideological fanaticism. Indeed, the consistency of a scientific theory is founded on its capacity to be verified empirically, be it through observation of the phenomenon in nature or by reproducing it in the laboratory. The evolutionist hypothesis fails on both counts. 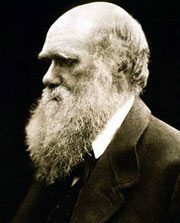 Respinti reaches this “verdict” after a rigorous “trial of Darwin” in which he analyzes the main arguments that debunk the notorious theory, ranging from nonexistent fossil records to the conflict of Darwinism with genetic science and the flimsiness of the “synthetic theory” of neo-Darwinism, without forgetting the countless frauds that have stained notable evolutionists in their insane quest to fabricate the “proofs” that science tenaciously denied them. Sermonti has been often accused of being a “creationist” or a “religious fundamentalist” even though he has always said he does not fit his scientific vision into a Christian perspective, and this yet one more aspect to note in the polemic against Darwinism, which many people other than Christians also contest it. From Dimenticare Darwin—Ombre sull’evoluzione’s introduction: For the first time in Italy, a critique of Darwinism is presented in all its complexity thanks to the interdisciplinary contribution of scholars of several orientations—[b]eyond the polemic between neo-Darwinian fundamentalists and religious integralists, the essay demonstrates how the critique of the now old neo-Darwinist paradigm opens the doors to a new science. Francis Crick, who together with Watson discovered the structure of DNA, openly declared, “An honest man, armed only with the knowledge available to us, could affirm only that, in a certain sense, the origin of life at the moment appears to be rather a miracle,” In the same wavelength, Harold Hurey, a disciple of Stanley Miller who made history with his failed attempt to recreate life in the laboratory from a so-called primordial broth, said, “All of us who studied the origins of life uphold that the more we get into it, the more we feel it is too complex to have evolved in any way.” Indeed, a lot of faith is required to believe in evolutionism, and it is precisely that faith, of a clearly positivist1 mold, that is now beginning to weaken. The crumbling of positivism is bringing back to the limelight issues that a certain conventional wisdom thought to have definitively eliminated. Shaken from the sudden crumbling of old certainties, worried about the chaos that increasingly marks this postmodern age, many people are once again asking the fundamental questions: Does my life have a transcendental meaning? Is there an intelligent project in nature? In short, does God exist? 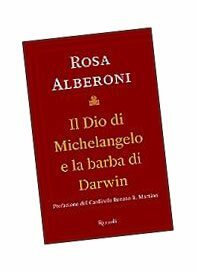 Sociologist Rosa Alberoni wrote about this in her book, Il Dio di Michelangelo e la barba di Darwin (The God of Michelangelo and Darwin’s Beard), published last November by Rizzoli with a preface by Cardinal Renato Martino, president of the Pontifical Council Justice and Peace. The onslaught of “Darwin’s worshippers,” Alberoni explains, is carried out by the “usual destructive atheists obsessed with the goal of stamping out Christ and destroying the Judeo-Christian civilization after having sucked its blood and essence.” This sullen assault, however, in the deeply changed ambience of post-modernity, risks being counterproductive: The monkey myth is what really shook ordinary people. Like soldiers woken up by an alarm in the middle of the night, Christian believers and [O]rthodox Jews prepared for the defense. Or rather for the war, because that is what it has become . 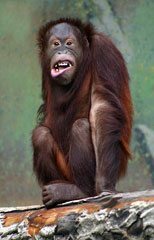 . . [o]n the symbolic level, the bone of contention is the ancestor of man: God or a monkey? Should one believe in God or in Darwin? This is the substantial nature of the ongoing clash in our civilization. In other words, a real war of religion looms in the dawn of the Third Millennium. Precisely that which secularists have tried to avoid at all cost. Positivism is the philosophical system created by August Comte (1798–1857), which only accepts the truths that we can reach by direct observation or by experimentation. Thus it denies classical philosophy, theology and all supernatural religion. 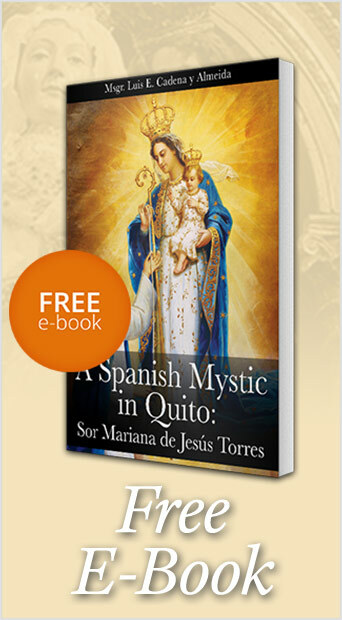 This entry was posted in News Commentary by Julio Loredo. Bookmark the permalink.